This PDF 1.4 document has been generated by Adobe InDesign CS4 (6.0.6) / Adobe PDF Library 9.0, and has been sent on pdf-archive.com on 15/02/2016 at 07:30, from IP address 24.223.x.x. The current document download page has been viewed 5850 times. File size: 51.2 MB (80 pages). these elements into a cohesive package. Wars ships no longer see regular play. Chris Powell, William Tink, Joe Silva, Norm Weir. others whose work has been used without permission. essence of starfighter battles in the Star Wars universe. This unofficial fanmade campaign is not affiliated with, nor endorsed by, Fantasy Flight Games. Target Lock from your ship. result. You cannot use this ability if you are stressed. tokens or reroll attack dice. A variety of new terrain types. Print on cardstock, or mount on cardboard. HWK-290 from an Imperial patrol. missions, kills, and experience earned. some missions use the Rebel transport. Each player will need an X-wing or Y-wing. as they are used as allies, mission objectives, or elite enemies. earned; glass beads work well. system from the Empire’s grasp. 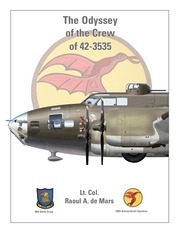 The mission Local Trouble, p46, is intended as a starting mission for new players. before launching into a full campaign. representing control of the star system. length chosen. See the following page. for each player, and perform ship setup. See Choose a Starting Ship, p10. works. See AI Ships, p16. with Pilot Skill level, and can be replayed with high-level pilots if desired. will allow for longer campaigns. which is used to form a mission deck. added to the mission deck, replacing it. Print and cut out the mission cards. draw (or choose) a number of them depending on the campaign length chosen. as you play the campaign. paper and stick them to cardboard. includes a list of required components. missions that use a given terrain type. 2) Player and Pilot Callsign name fields. Give your Pilot a cool name! level. For new Pilots, this will be 2. 5) Ships can take one Modification m.
those Pilot Skill levels are achieved. and spend it on upgrades. This file has been shared by a user of PDF Archive. Document ID: 00340009.